Blood Line Tour – Amazing giveaway! Publisher: Simon & Winter, Inc.
Excerpt from Bloody Truth releasing Spring 2015. To learn more about the Grangers and the Granger Spy Novels visit www.johnjdavis.com. “I want to show you a trick,” we heard Leecy saying. Arriving at the station, the First Class car door of the train opened to reveal Hodges and Franks dressed like paramedics standing next to a gurney. The ambulance, Franks was driving and Hodges rode shotgun, while Val and I rode in the rear with the prisoner and Leecy. Taking the prisoners picture, scanning his fingerprints and palm prints with an iPad, we emailed the data to Zach for analysis. 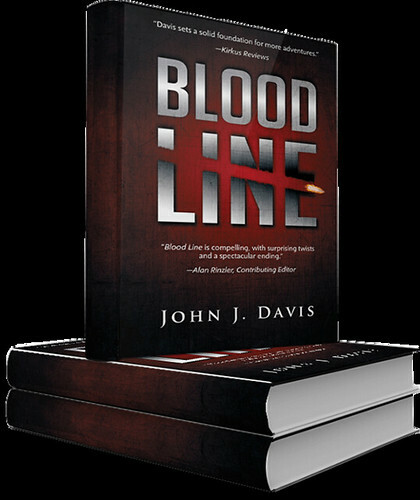 John J. Davis is the author of the Granger Spy Novel series, including Blood Line and the soon to be published sequel, Bloody Truth, available Spring 2015. Davis grew up in the Southeastern US and after university traveled extensively in North America during his career as a regional sales rep and independent broker for leaders in the transportation, shipping and pharma industries. His years sitting in lobbies and airports honed his skill for human observation and fed his talent for writing fast-paced, character-driven stories. His inspiration for the Granger family-of-spies comes from the people he has known and his family roots in the Carolinas–the extraordinarily strong and gentle women and men, whose lives are defined by the love, trust and respect for family. Currently at work on the third Granger Spy Novel and a screenplay, Davis lives near Atlanta with his wife, daughter and two dogs. The Fairy Godmother Chronicles Release Party – Book One is Free! gorgeous; he just happens to make things worse when he tries to help. Thank you for joining the Quantum Breach Blog tour! I’m excited to be a part of it. Read a little about the book and author, then skip down to my review and a couple of writing tips from the author. As Mark McCabe observed the financial market meltdown in the Dealing Room, his nerves tight and on edge, he felt too old for the game. At 45, why the hell was he doing this, putting himself under such stress, and for what? It had been eight years since he left the regiment. Forex trading was a world in which he felt he did not belong. The adrenaline that fed his veins was risk of a different kind. 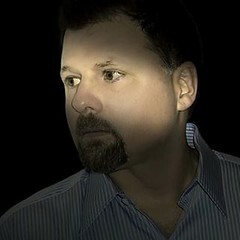 Then he receives a call from Brian Stowe, a former Special Forces buddy, now MI5 spook. A suspected money-laundering plot linked to a drug cartel was going on in the very bank that he works. Stowe enlists McCabe and his Singaporean assistant, the highly intelligent and very attractive Ying Lee, a 26-year-old trader, to uncover the money trails. The chase leads to a terrorist cell known to McCabe from his own murky past, and a deadly game of cat-and-mouse across Asia and the Middle East ensues. Along the way, questions are raised and loyalties become suspect. How is the British Government involved? Who is this shadowy MI6 informer, the Rain Angel? Is she with them – or is she against them? I don’t usually read books like this, but I enjoyed this one. It had a lot of action and some cool torture scenes, in my opinion. Basically it’s a mesh up of spies, terrorists, banking woes, dirty trading and corporate espionage. It was a little complicated in the beginning to follow, but once I did, I couldn’t stop. What I liked most about this novel was the relationship between McCabe and Stowe. They played off each other well. There’s also a cool, tough-girl Asian chick who I think is smarter than them all (I’m not biased 🙂 ). For a first time novel, this author did a great job! I can’t wait to see what he does with the sequel. What are the biggest mistakes you see first time writers make? I’m a complete novice in writing, so I’m not sure I’m qualified to answer this question. For me, I think I made a newbie mistake in trying to explain everything to the reader. I had to change my book in several places to let the dialog between characters tell the story. What are a few of your writing tips you live by? Don’t force you writing. You’ll only get frustrated. If you’re stuck, move onto another section or go back and review something you’ve already written to get the creative thoughts flowing. Blog Book Tour: The Secret of Darkwood Castle available May 21st! The Secret of Darkwood Castle, the third book in Heather Ostler’s trilogy, is out May 21st! Julia has embraced who she is. She’s a shapeshifter, a siren, and a princess. But her fate is still unclear. As she runs for ambassador of Ossai, The Guild, lead by Julia’s estranged mother begins attacking and killing those Julia loves in an attempt to overthrow the kingdom. To defend her family, her home, and he country, Julia must stop the Guild once and for all. But when a mysterious stranger shows up offering help, Julia is forced to trust them in order to solve the secret to the Guild’s whereabouts. Soon she travels to Darkwood Castle, a sinister palace, to confront the Guild—and her mother. If she doesn’t succeed, all Julia holds dear will be ripped away and destroyed forever. Deadly forests, dangerous alliances, and a hidden fortress—nothing is what it seems at Darkwood castle. Discover the epic conclusion to Julia’s journey in Ossai. Heather Ostler grew up near the mountains with a rambunctiously entertaining family. She graduated from Utah Valley University and soon began composing stories about shapeshifters, sirens, and spooky castles. She and her husband reside in Utah Valley with two remarkably pleasant pugs. Check Out More of Jen’s Books! Julia has been in love with Michael for years. He’s the hottest guy in school, and she can’t believe her luck when they finally hit it off during Senior Prom. Her dream doesn’t last, though: after a few dates, he callously dumps her out of the blue. Summer vacation starts with Julia feeling heart-broken and miserable.But then she rescues Michael in the woods when he has a motorcycle accident in a heavy thunderstorm. From that point onward, her life is turned upside down. Michael has changed completely after the blow to the head that nearly killed him… and he wants her back. But why is he so different? And will she be able to trust him this time around?Can the boy who broke your heart ever win it back again . . ? The first memory I have of my grandfather is of a moment that we share together. I’m sitting on his knee looking out over the harbor. Grandpa is smoking a pipe. He points at the horizon. Return to the world of The Island and discover what Walt’s life was like before and after he met Leia! Leia and Walt are on their way to the Other Side, where the legendary land of Cornwall awaits them. Tony, their new friend, has told them that all wars of the past have been forgotten and the citizens of Bodmin and Dartmoor live in peace. People adhere to the tenets of an old religion that preaches forgiveness and non-violence.However, Walt and Leia soon discover that even a peace-loving, ideal society like this one may have its flaws. While on a forbidden trip to Exeter, the old city of their ancestors, the two Islanders discover more about the new world than they ever bargained for. If there is one thing I want for my four children, it’s for them to become superheroes, real life superheroes. That means I need to be their Yoda or their Splinter (isn’t there a better looking mentor I can relate to??). It is up to me to mold them into the hero I hope they will become. But a distinction needs to be made about what really makes a super hero. Is it the costume? Their ability to fly? Run fast? Lift a car over their head? Or is it their inner qualities such as bravery, compassion, or their desire to make the world a better place? What would happen if a superhero didn’t have these good qualities? Despite his super abilities, he’d just be an average person with some cool powers. But no one would look up to him and no one would want to be like them. It’s what a person does with their abilities that make them a superhero. Fortunately, every quality a superhero possesses, our children can obtain, too. Let’s go over five of these. Life takes courage. Every single day. And it comes in different forms. For some, simply going to school takes courage, or for others, standing in front of a crowd takes courage. Courage is a kind of strength, power or resolve to meet a scary circumstance head on. Teach your children that even in small moments we can be heroes. Compassion is the ability to understand the emotional state of another person or oneself. It gives a person a desire to reduce the suffering of another. Take your children on walks and point out an unhappy child or maybe a lost puppy. Look for ways for them to show compassion whether it’s to siblings or friends. Unfortunately, there’s suffering all around us if we we’re willing to see it. This is a hard attribute to teach children. Selflessness means we act without thought for how we will profit or be rewarded. One way to teach selflessness is to show our children how their actions will make other people happy. For example, having an older sister read to a younger sister, even though the older child thinks it’s boring. Teach the older daughter that her actions can help bring joy to someone’s life. Also, give your children opportunities to help others whether it’s working in soup kitchens, donating their time at a second hand clothing store, basically anything that means they may have to sacrifice something that is important to them, like time or money, for the benefit of someone else. A superhero would never be a hero if they judged others. Can you imagine Superman choosing not to save someone simply because he didn’t like what they were wearing? We never know how a child was raised, and we never know what type of day someone has had. Teach your children not to automatically assume certain things about others. Teach them to treat others the same way they would want to be treated. Superheroes are always humble. When they win a fight, they don’t rub it into the criminals face, they don’t run up and down the streets claiming their victory. They quietly disappear into the night, knowing that tomorrow will bring another battle. Being humble means to do the best job you can, while also respecting those around you. Teach your children to always say “Good Job” to others and to even go as far as helping other kids achieve their goals all without expecting anything in return. What’s another trait you think superheroes should possess? Win a $50 Gift Card and Learn about Great Books! Welcome to the April Easy Money Giveaway! This is the third book I’d like to introduce to you. Read the quick blurb then follow the directions on the rafflecopter at the bottom of this post! 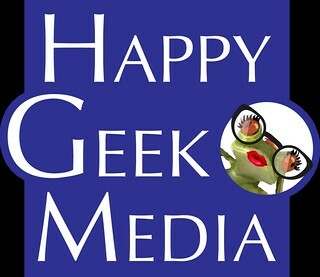 You may also learn about other amazing book from one of our giveaway sponsors at the end of this post.